Patrick Healy, son of Thomas Healy and Mary O'Boyle, and Mary Hope, daughter of Thomas Hope and Mary Barrett, were married in the Church of St. Patrick in Lahardaun, near Crossmolina, County Mayo, Ireland, November 30, 1854.1 In 1857 Patrick was leasing 44 acres of land from Mervyn Pratt in the townland of Pollawarla.2 Pollawarla is located between the southern tip of Lough Conn and the southeastern edge of Mt. Nephin, two major landmarks in this area. It was just northeast of the townland of Derafadda where his father was leasing land, and south of Dervin where the Hope familes lived. The baptisms of Patrick and Mary Healy’s children, born in the late 1850s and early 1860s, were listed in the Addergoole Parish Registers with a residence of Collarua.3 By 1866, Patrick and Mary had decided to leave Ireland for America. Both of Patrick’s parents were dead by this time and most of his brothers had already moved to America. Patrick’s holding in Pollawarla was taken over by a Thomas Rowland, possibly a brother-in-law of his sister Mary, married to Michael Rowland. Patrick and Mary Hope, with their four children, Patrick, Thomas, Bridget, and Mary, left Collarua, County Mayo, in March 1866 for America.4 They took the train south from Castlebar, County Mayo, to Queenstown (now Cobh) in County Cork, on the coast of St. George’s Channel. This seaport was the departure point for most emigrants leaving Ireland for the United States and Canada. Each emigrant underwent a perfunctory medical test for infectious diseases before boarding the ship. Some learned how to escape this by having one of their healthy family members take the place of a sickly one by changing places in lines amid great confusion. Diseases were prevalent as well as stowaways. The Healy family's passage from Queenstown to New York was far from uneventful when a cholera outbreak aboard the ship took the life of their youngest child, Mary, and forced the passengers into quarantine on an island near Halifax, Nova Scotia. Mary Hope Healy was expecting her fifth child when they left Ireland. Mary must have suffered greatly seeing her youngest child buried at sea and then expecting another with all the perils of life aboard ship plus cholera. If she had nausea from her pregnancy, the nausea probably would have been aggravated by the conditions in steerage. The child, Katherine Kathleen “Kate,” was born in August 1866 after they had settled in Faribault, Minnesota. The Manifest of the SS England, which finally arrived in New York on May 11, 1866, is the original list of the passengers who embarked in Liverpool and Queenstown. On the list are the names of the Healys: Pat Hely, age 36, male, laborer, from Ireland; Mary Hely, age 34, female, spinster; Pat Hely, age 8, male, child; Thos., age 6, male, child; Bridget, age 3, female, child; and Mary, age 4, female, child. According to Patrick and the register of Mary’s baptism, Mary was only two. Mary died at sea, but she was still listed in the ship’s manifest, with no indication that she had died. The Healys stayed in New York for two days according to Patrick, but he does not say where. The family rode one of the early trains to Minnesota. In those days the coal-burning engines covered passengers with soot. That hardship was undoubtedly overlooked while watching the vast expanse of the new country unfold before them. Patrick’s brother, Hugh, was waiting with a team of oxen and a wagon to transport them to Hugh’s home in Iosco, Waseca County, Minnesota. Patrick and his family stayed with Hugh and his wife, Sarah, and their children long enough for Patrick to help Hugh plant the crops. By this time Hugh was a successful farmer. He sold Patrick eighty acres of land. Hugh’s brother, Thomas, was a building contractor for bricklayers and plasterers in Faribault, Minnesota, just 25 miles away. Thomas wrote his brother, Patrick, to come to Faribault before he settled in Iosco. Patrick probably rode on a stage coach or on horseback to Faribault. Patrick decided to settle in Faribault and moved his family there in June, 1866. Patrick later sold his eighty acres of land back to his brother, Hugh. Eight stage coach lines existed from St. Paul, the capitol of Minnesota, to various cities. By the end of the Civil War in 1865, 1,300 miles of stage lines and 300 miles of Pony Express mail surrounded the country. Timber covered a great amount of land and consisted of birch, oak, maple, elm, poplar, black walnut, cedar and sycamore. There was enough lumber in the forests to build thousands of homes. Long before Patrick arrived, limestone quarries and sawmills provided the stones and logs to build homes. Roads built by private contractors and the military had established five hundred sixty miles of roads in Minnesota by 1857. Arriving in Faribault in 1866, they would have found four hotels, wagon shops with blacksmiths and shoemakers, hardware stores and steam mills. Faribault's population in 1865 was 2,234. Schools, churches, mercantile shops, grocery stores, ladies’ benevolent associations, a post office, a brass band, a string band, and a vocal club were all in existence when the family arrived. There were drug stores, restaurants and furniture stores. By 1872 there were few sidewalks in the town outside the business portion, and those consisted of only two planks laid lengthwise. Patrick worked for his brother, Thomas, who was a building contractor. It is not known if Patrick built his own home, but if he did, he would have had the help of his brother, Thomas. Also, Patrick was probably a mason since this fact appears in the St. Paul City Directory in 1897. A month or so after they arrived in Faribault, their next child, Katherine Kathleen “Kate” was born. They had five more children in Faribault after Kate: James, Edward, John, Dennis and Ellen Margaret “Nellie.” The young sons attended the Immaculate Conception School in Faribault. According to James, he and his brother John only finished the sixth grade. How much schooling Bridget, Kate and Nellie had is not known but they could all read and write. Patrick was the first person in Faribault to subscribe to Minnesota’s first newspaper, The Pioneer and Democrat. This newspaper later became known as the St. Paul Pioneer until 1875, when, after merging with the St. Paul Press, it became the Pioneer Press. Patrick and Mary lived on what is now East Division St., north of Brand’s Nursery, in Faribault. The Arch Brand Nursery was famous in the United States and Europe for producing new varieties of peony flowers. Arch was named “The Peony King of the World.” The Healy children and the Brand boys were good friends and referred to themselves as the “Healy Gang.” Their properties touched with a lane between them. The lane is now 10th Avenue South East. Kate Healy told her children of how she and her brothers and sisters would bring beautiful red apples home from the Brand orchard stuffed into sheets. Mary, Patrick’s wife, was not well and suffered from diabetes. Kate, the eldest daughter, took care of her mother and younger brother, John, when he had pleurisy. He spoke of the “stitches” that hurt in his chest. Kate said that her father was a very religious man and always knelt down to say his prayers at night. James Healy, with his violin, and his brother, John, with his mandolin, both ordered from catalogs, taught themselves how to play. Ed and Nellie played the piano. By 1887, Patrick and Mary’s children, Patrick, Thomas, Bridget, Kate, James and Edward, had moved to St. Paul to work or were married. Patrick and Mary moved to St. Paul in 1887 and lived at 28 E. Sycamore Street with the entire family except for their four children, Patrick, Thomas, Bridget and Kate. Patrick, age 67, was a laborer at the St. Paul Minneapolis and Manitoba Railroad Shops. Kate told of how her father had to walk a great distance in the cold winter when he worked in St. Paul. James and Edward were teamsters. Between 1888 and 1889 the family moved to 856 Marion Street. In 1890 and 1891 they were living at 164 Lafond Street. Patrick, the father, was listed as a mason. Evidently, that was the last year of work for Patrick. He was sixty-nine years of age. From Lafond Street Patrick and Mary moved to 162 Como Avenue. Their niece, Maria McCann, lived with them. 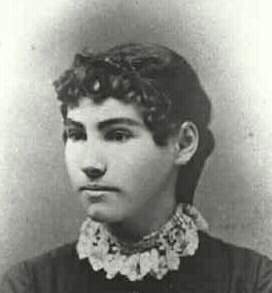 She was the daughter of Patrick’s sister, Mary Healy. In 1894 they were living at 174 Thomas Street and in 1895 at 638 Linden Street. This home, in a district called Mt. Airy, overlooked the city and the landings where the steamboats docked. It was at this home that Patrick’s wife, Mary, died of a diabetic coma at the age of sixty-two.7 Patrick remained at that address until 1904 when he moved to 272 Dayton Avenue. At this time, only James, John, Dennis and Nellie were living with their father. Edward lived with them the next year. Patrick died in 1906 at the age of eighty-four.8 Patrick and Mary were buried at Calvary Cemetery in St. Paul. Collarua was also spelled Collyrowan and Collyroe in the records. In the Tithe Applotments for Addergoole Parish, County Mayo, a subdivision called Collyroe is listed under the townland of Levally, just next to Pollawarla. 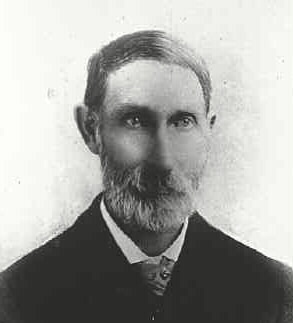 Patrick F. Healy, History of the Hope and Healy Families. Patrick F. Healy, nine years old when the family made the trip, gave an account of the voyage in the family history he wrote in his later years. Rev. Ambrose Martin, “The Steamship England, a Narrative of Her Voyage and the Breaking out of the Cholera,” New York Times May 19, 1866: 2. Manifest of the SS England arriving New York City May 11, 1866. National Archives microfilm M237, Passenger Lists of Vessels Arriving at New York, New York, 1820-1897. Roll 265: May 11-25, 1866. Record of Death for Mrs. Mary Healy, St. Paul, Minnesota, Bureau of Health. Death Certificate for Patrick Healy,St. Paul, Minnesota, Department of Health. Calvary Cemetery, St. Paul, Minnesota, Lot 2, Block 10, Section 38. Photographs of Patrick Healy and Mary Hope were provided by Hope Healy Koontz. Copyright © 2002-2009, Anne Healy Field, all rights reserved.